Aug. 19 marks World Humanitarian Day, which commemorates the lives and accomplishments of aid workers who have died in the line of duty. To mark the somber date this year, VML and m ss ng p eces created a "living petition," which lets anyone use a selfie, rather than a signature, to call for increased protections for civilians in conflict zones as part of the United Nations' new "#NotATarget" campaign. More than 30,000 civilians were killed by explosives in 2017, according to a report by the UN Secretary-General. 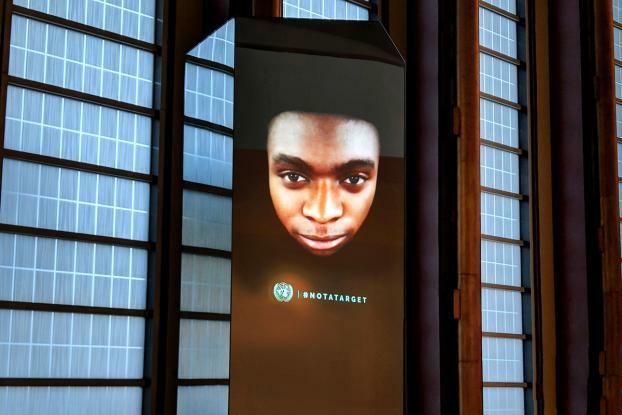 On Friday, a digital sculpture created using thousands of 3-D images of the faces of petitioners from around the world was placed at UN Headquarters and will remain there throughout the UN General Assembly. The installation also uses motion sensors, so the eyes of the images follow delegates as they enter the hall. It's not too late to get involved. Anyone can still take a 3-D selfie and upload it at WorldHumanitarianDay.org to have it added to the petition.